Film photography has been through some rough times in the last decades. Giants like Agfa and Kodak and Fuji have whittled down their selections of films one by one. At one point, film looked like it might be in a long, slow decline it might never recover from. In 2017, though, things look more positive for film shooters than any point since digital photography appeared. As Kosmo Foto wrote earlier this year, Kodak is bringing back its much-loved Ektachrome slide film, Film Ferrania has released its first film since rising from the ashes of Ferrania, and there are new films to choose from by the likes of Japan Camera Hunter, Bergger and Maco Direct. And that’s not all. 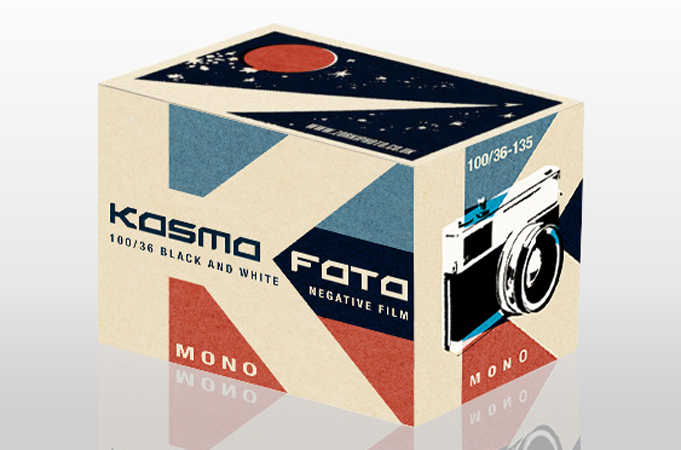 I’m happy to report that Kosmo Foto is releasing its first film –Kosmo Foto Mono, a 100-ISO black-and-white negative film. Made by a leading film producer with many decades of film-making experience, Kosmo Foto is a tried-and-trusted panchromatic emulsion with a traditional feel. It has biting contrast and a traditional grain structure that gives a pleasing, classic black-and-white film look. It’s a film I’ve used for some years, and I love it. While rated at 100 ISO, the film can also be pulled to 50 or pushed to 400 ISO (with a corresponding change in development times). You can either take your films into a lab offering black-and-white development or develop at home – it can be developed in all common developers, including Kodak Xtol, Ilford Perceptol and Tetenal. You can buy Kosmo Foto Mono on pre-order through the shop right now. Kosmo Foto Mono will cost only £4 a roll. The minimum order for this batch is just three rolls. You can pre-order through Paypal, and you’re only charged when the film has arrived at Kosmo Foto HQ and is ready to ship. Anywhere in the world – from the Faroe Islands to Fiji, Australia to Albania, Uruguay to Upper Volta (sorry, Burkina Faso). Kosmo Foto will send the films out via Royal Mail. Three rolls means a small, light package that won’t cost an arm and a leg – no matter where you live. When will the film ship? Kosmo Foto Mono is at the first stage of production. Packaging is expected to be finished at the end of August, and the film should follow in late September. I hope to send film out at the beginning of October. Some of this first batch will be kept at Kosmo Foto HQ as a reward for those who shoot Kosmo Foto Mono and share their pics on the blog. You send the pics you’ve taken on Kosmo Foto Mono, send to me to turn into a post, and you’ll receive another roll of film as a thank you. Buy film, shoot film, share film – free film! Please send any other questions to foto.dowling@gmail.com and I’ll try to answer them. Thanks for reading, and I look forward to sending out Kosmo Foto Mono to film lovers all around the world. P.S. Any chance of developing a slow(under 100 ISO Colour Negative) 4 next years Summer Film Party? I like the packaging, has a Soviet era look to it. Best of luck with it. I want one just for the box! Get in quick, John – only 30 rolls left before the new design hits the shelves!